Mobile Personal Training Offer! 2 for 1 deal. Flatten your Tummy Fast with Morning Celery juice. 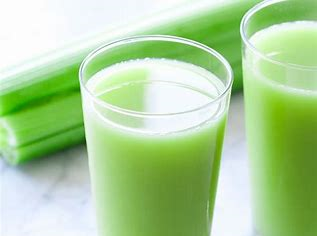 Recommended drinking 400ml of celery juice on an empty stomach, ideally, first thing in the morning and 15 minutes before you eat any food for 7 days. After the 7 days you may want to reduce drinking the juice twice a week. Remember! It’s all about the balance and everything in moderation when its come to healthy living! Tip! If using a blender or bullet, you should add a little bit of water to help the blades spin. The amazing health benefits of celery juice extend into many areas of nutrition and make this vegetable an extremely important part of a healthy diet! Drink cerley juice helps Reduce Inflammation in Your Body. Inflammatory diseases like arthritis, osteoporosis and Lower Blood Pressure and Improved Cardiovascular Health.